Cobweb of History: Who are the Gagauz? The Gagauz people came through many hardships on the historical way, but still managed to preserve to the present day their ethnic identity of the 13th century. However, scientists have not come to a common opinion in the question of who the Gagauzians are. One of the theories has it that they are the "re-educated" Pechenegs, not defeated in battles with Rus. According to another version, the Seljuk Turks, who did not obey to the Sultan of Turkey, seized several important geographic objects, namely Iran, Kurdistan, Minor Asia, followed by Armenia and Georgia, and then Central Asian states were defeated. However, eventually, the history says about justice, and about the fact that it is impossible for a long time to own the land, which does not really belong to anyone. Once, the Seljuks were defeated and lost the conquered territories. Cooperated with the Polovtsy - another warlike people who did not satisfy their claims to the lands of others, the Seljuks called themselves the Gagauz. Finally, there is a third theory, according to which the ancestors of the Bulgarians, who lived in the area of Central Asia, settled in Europe as a result of the Great Migration. Those who elected Balkan Peninsula as their residence, got the name of the Gagauz. True or not, it is difficult to find out, as all historical documents confirming the fact of the existence of the Gagauz people are very ancient. There are a little more than twenty theories of origin of Gagauz people. One thing is certain: Gagauz ethnic group is unique because it is the only nation that origins from the Turks, and that adopted the Christian Orthodox religion. In addition, most historians agree that the Gagauz people had their own red flag with an image of a white rooster on it. Currently the Gagauz people occupy the territory, which left a trace in history under the name of Budjak and includes the southern regions of Moldova and the south-western region of the Odessa region in Ukraine. As for the modern flag of Gagauzia, an image of a rooster decors the banner, which changed its colour from red to blue. Although a wolf's head established itself firmly at the centre of a banner, and white roosters occupy a modest bit of space on the sides, the Gagauzians like to emphasize the primacy of a rooster in the ornament, saying that this bird is the embodiment of justice, a quality that residents of Gagauzia value most. The Gagauzians celebrate two national holidays: November 8th is a Demetrius (Kasim) Day, and May 6th is a George (Hiderlez) Day. Kasim (translated from Turkish as "November") for stockbreeders was not an easy day: everything suggests that winter comes, during which they will have to ensure the preservation of livestock. 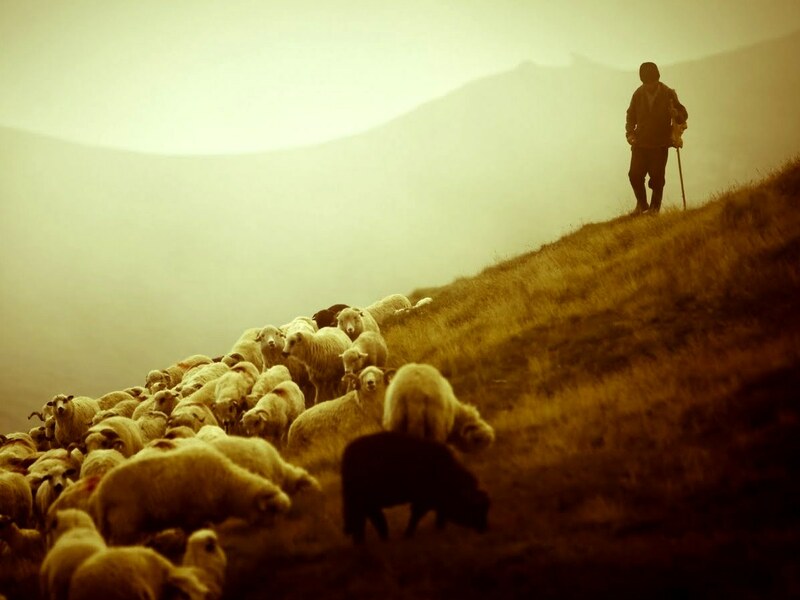 This day, the Gagauz sacrificed a sheep, and the ritual was called Kurban (by the way, this tradition is peculiar to Islam). In order to distinguish between the religious rites, the Gagauz determined their type of Kurban by the word Allahlik. Later, when the Christian Orthodox religion was adopted as the official religion, the Gagauz timed Kasim to a Demetrius Day. This day believers celebrate the Christian martyr Saint Demetrius of Thessaloniki (also known as Demetrius the Myrrh-giver) and ask him for courage and patience. In addition, the Gagauz people believe in the healing abilities of Demetrius, and so pray to him about curing eye diseases and the returning sight to blind people. Kasim served as some kind of starting point from which the Gagauz time starts ticking. Thus, the Gagauzians started sowing on the 111th day after the holiday, no matter what surprises nature throws. Another festival celebrated in a more joyful atmosphere, is called Hiderlez: many years ago this day herdsmen drove the animals to pasture. Centuries passed, and the Gagauz people still follow the ancient customs, and begin the harvest on forty days after Hiderlez. In the Orthodox tradition, this day people recall the patron of agriculture and animal husbandry St. George, despite the fact that in all the mythological legends this legendary warrior did not have any of these professions, but is known as the winner of the pagan dragon. How is Hiderlez celebrated today? In the Gagauz families it is a custom to kill ruminant animals such as lambs, rams; this is a sacrifice, a tribute to old customs. In the Soviet era, there were attempts to hide the Gagauz language from the people. First, in 1957 it was allowed to teach it in schools, but not for a long time - five years later the lessons were banned, and again an ancient tongue got into timetable a couple of years before the collapse of the USSR. 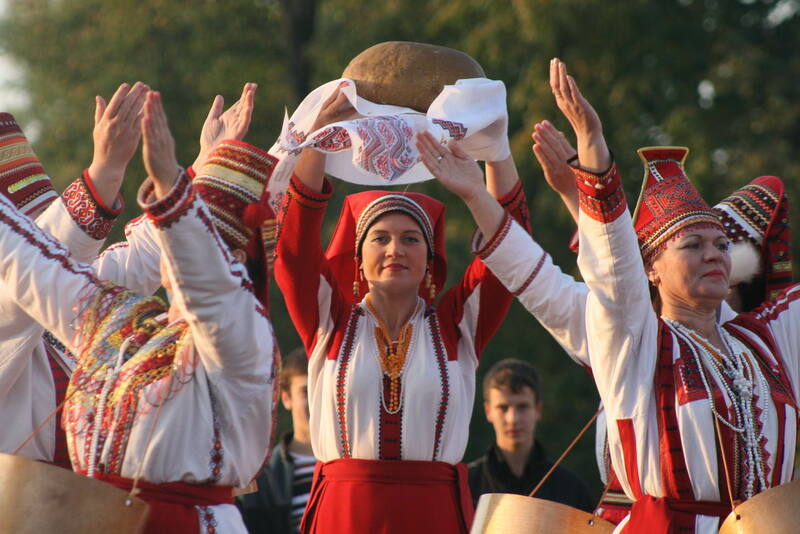 It did not contribute to an increase of the ethnos and promotion of its culture: according to the census, in the Soviet Union the number of the Gagauz reached 300 thousand, but now the nation, divided by the borders of the two countries can not boast such a number: 157 thousand of the Gagauzians live in Moldova, and in Ukraine there are almost 29 thousand of them. Scientists suggest that the cause is that now not all people with the Gagauz roots wish to associate themselves with this ethnic group. According to the members of cultural communities collecting Gagauz folklore, once scientists have travelled to Ukraine and found in the Zaporozhye Oblast two villages Oleksandrivka and Dimitrovka where residents belong to the Gagauz ethnic group. However, in the course of the conversation it became clear that they seriously consider themselves indigenous Bulgarians! The strange thing about this is that, according to linguists, it is practically impossible to confuse Bulgarian language, which belongs to the Slavic group, with the Gagauz language, which takes its origin from the Turkic. This is not the case with the Turkish and Azerbaijani languages, which have the pronunciation closest to that of the Gagauzian tongue. The value the Gagauzians never forgot about is a religion. At all times there were arranged horrible persecution of the Orthodox among which were many Gagauzian people. So, it is the representatives of this ethnic group who nobly protected the temples and did not allow to displace the faith of their ancestors from the world map. Maybe that is the reason that you can find many Orthodox priests among the Gagauz.